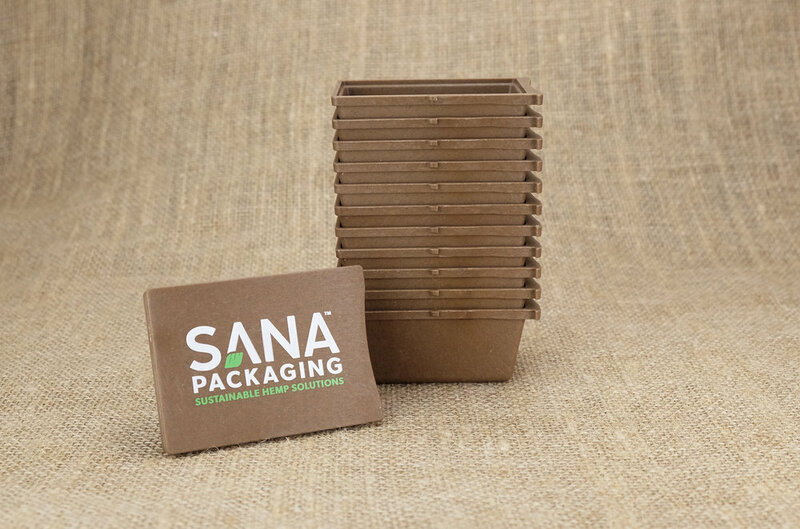 At Sana Packaging, our commitment to sustainability goes beyond simply offering ecologically-conscious products. We believe that packaging should be regenerative and help heal the environment throughout its lifecycle. Our packaging is differentiated, sustainable, and compliant. On top of our hemp plastic packaging, we also offer custom branding and labeling solutions as well as custom hemp paperboard outer packaging. We work with our clients from ideation to delivery and ensure a high level of hands-on customer service. In an increasingly global economy, localization is more important than ever. We are proud to be a "Made in the USA" company committed to supporting domestic agriculture and domestic manufacturing. Furthermore, the cannabis industry and the industrial hemp industry have the potential to create positive economic, social, and environmental change for our country and our planet. We only use domestically grown hemp for our plastic. The hemp is grown in Colorado, North Dakota, and Kentucky. Then, the hemp is processed in Kentucky and our plastic is made in North Dakota. Our final products are manufactured in Minnesota and Arizona. In a post-tobacco, post-cotton, and post-corn era, hemp has the potential to reinvigorate economically stifled agricultural communities all across the United States. Our products are designed to increase efficiencies across our supply chain. For instance, the nesting design of the Sana Container increases shipping and storage efficiencies for our customers.